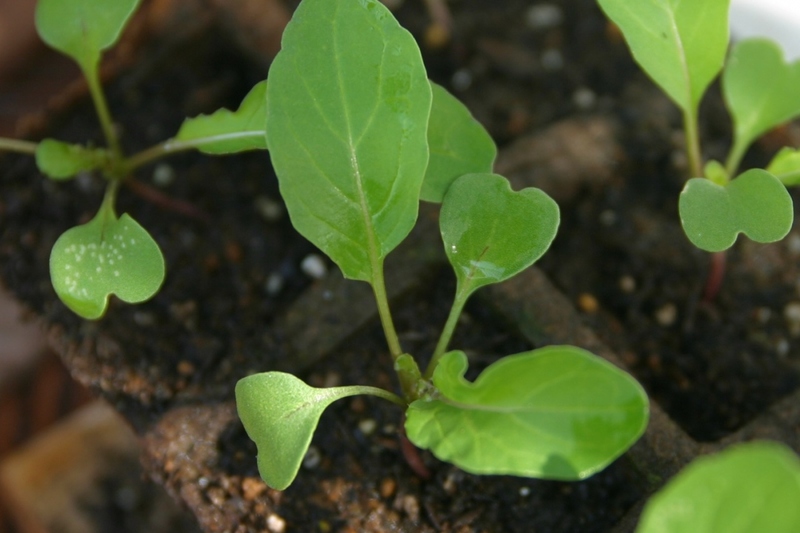 Arugula (Eruca sativa): growing, planting, caring. A must-see on any plate! Arugula has a longer life cycle than other kinds of lettuce, so you can harvest its leaves for a long time. It can be planted from April to August and from September to October in open soil. The first harvest can take place a month and a half after planting. You won't have any problems trying to find a place to grow your arugula: it'll grow just as well in the shade as in the sun, in ordinary soil that's not too heavy. Arugula is an annual that belong to the Brassicaceae family — like cabbages! It has white or yellowish flowers, veined with brown or violet. It's leaves have a spicy, peppery taste! Sow in ordinary soil, either in open earth or in a pot – in this case, add potting soil — and without worry too much about the sun! Just remember that your arugula will become spicier in dry weather, provided you don't water! You can sow from April to August, and from September to October. 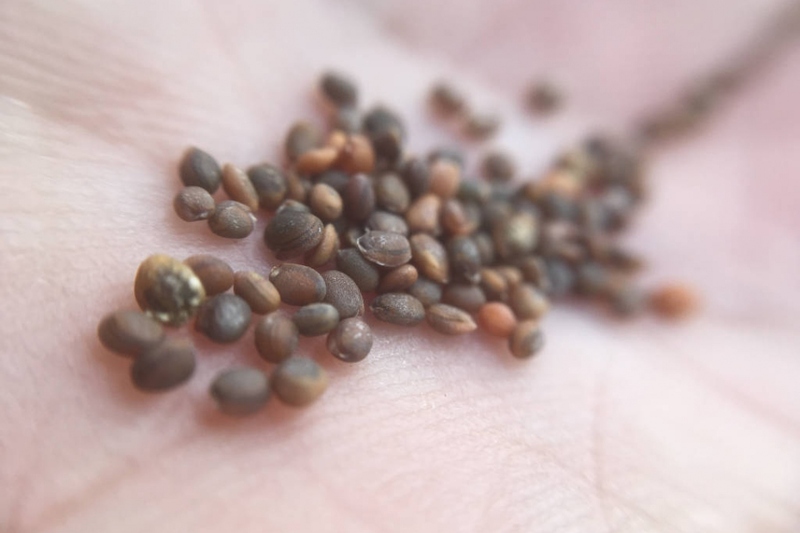 Leave 30 cm between rows, and space the seeds as regularly as possible — you can mix them with sands to make them easily to deal with! Work the top of the soil soil carefully, without leaving any clumps, by delicately raking. Water lightly with a watering can, or spray them, so as to not wash away the seeds. Water especially after the sowing and during summer. Water twice a week for the first month. 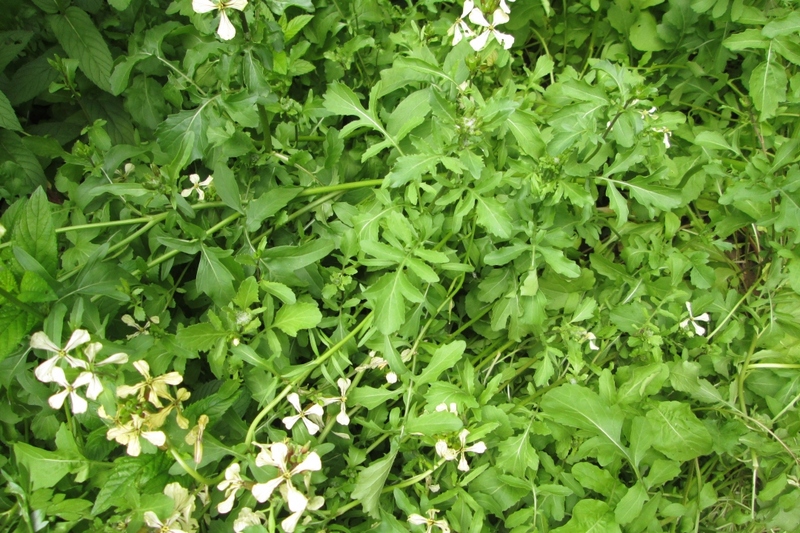 Then, your arugula will only need to be watered during summer, during dry periods, so that it goes to seed slower. Don't tire yourself out. The rest of the time, watering only causes disease! If potted, water twice a week in the absence of rain. 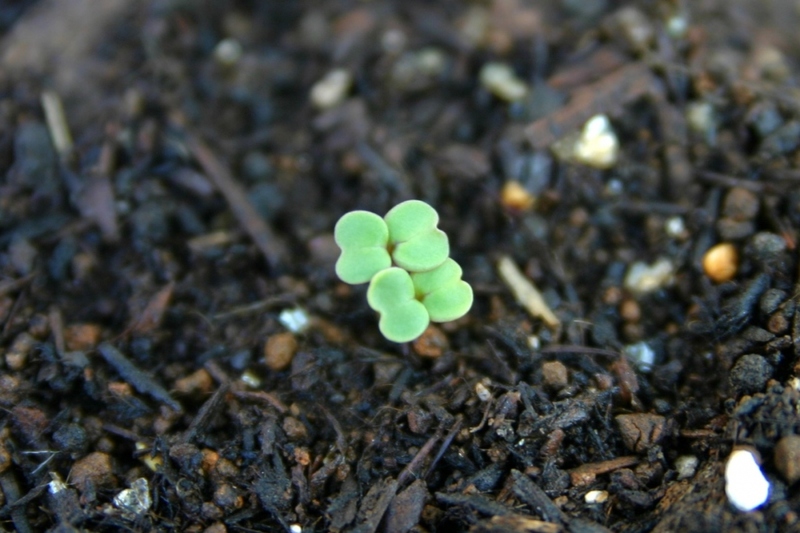 After sprouting, thin out the plants by leaving only one every 20-30 centimeters to facilitate their growth. Harvest as needed by cutting the leaves down to the soil, starting two months after sowing. 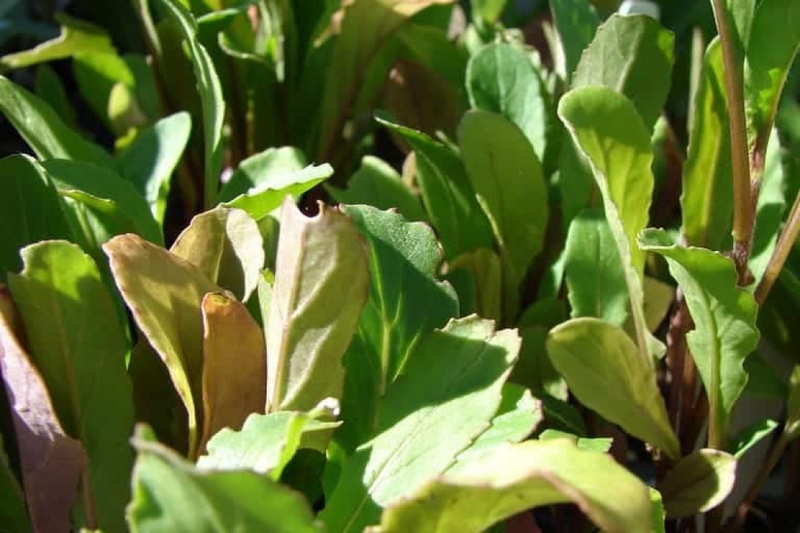 Here's a little tip to avoid constant weeding — mulch the base of your your arugula after a good thinning and hoeing. Hoe every two weeks if you haven't mulched!